Apple is expected to bring one of the biggest upgrades to its Apple Watch lineup this fall with a new series of timepieces that have the same physical size, yet come with larger displays, faster performance and more accurate sensors, as well as a few other new tricks. But what will be the price of these new Apple Watches? While there is no official information about pricing just yet, we know Apple well to make some educated guesses about the way it will handle the launch. 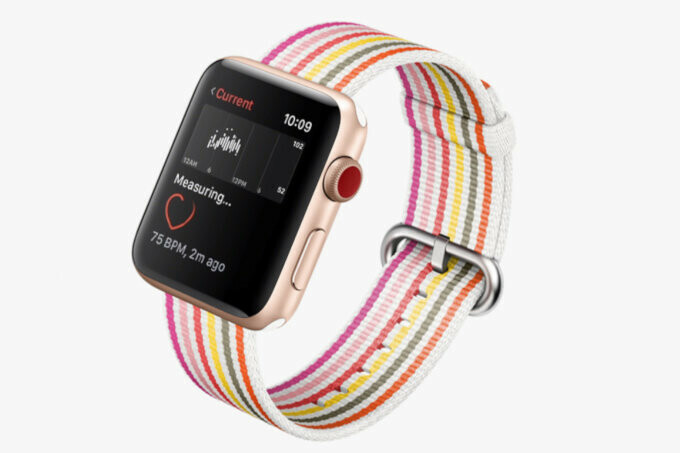 Last year, for example, when it launched the Series 3, the company dropped the Series 2, started selling the Series 3 at similar prices as the S2, and then left the Series 1 watch as the more affordable option that people could still buy. This year, the same might happen: Apple could drop the Series 3, start selling the Series 4 at similar prices, and offer the Series 2 model as the cheaper option. Taking a look back down memory lane, the biggest innovation that Apple brought with the Apple Watch Series 3 has got to be the cellular models that could work independently of your iPhone and that were faster than before. Previously, with the Apple Watch Series 2, the company added water-proofing for swimmers and a built-in GPS for more precise activity tracking. With this new Series 4 that has a bigger screen, faster performance and more precise sensors, here is what we expect in terms of prices. All of these prices are for the base, aluminum sports model, while the stainless steel version could start from $600 and the ceramic version could be sold at prices from $1,300. When will the new Apple Watch Series 4 be announced, you wonder? One of the best-informed Apple analysts out there, Ming-Chi Kuo, reports that the timepieces will be unveiled at Apple's fall event in September and the launch might follow in just a couple of weeks. If Apple indeed stuck to those prices, would you buy the new Apple Watch Series 4? And what are you most looking forward to in it? I'm going with 42mm GPS. No need to make calls from the watch. Yeah I don't think I would ever need the cellular service through a watch, but it is convenient that you can break up payments on the watch with a service provider. Although you are stuck with cellular service charges along with that. Square iWatch looks phaagy as hell. Very well suited for effeminate little soy boy millennials. mmm not really. i didnt like it because the rotating wheel of the samsung gear looked cleaner and the battery was crap on the first apple watch but it has improved since. i have the gear s2 but im thinking of getting the apple watch since it connects way better to my iphone.